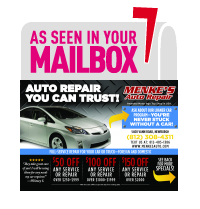 Menke’s has the special resources it takes to keep your fleet on time and on the road. Bring on the trucks and vans. Our staff is ready to devote the manpower and dedication it takes to tackle large jobs and corporation level assignments! With over thirty years of experience dealing with other companies’ needs, we know that it takes special attention to learn each unique business’s operations and deadlines. We take the extra time it takes to get to know you and your schedule, and work with you to create custom schedules and pricing options. That’s why we’ve been able to create a proud tradition of maintaining long term relationships with entrepreneurs and business owners at every level. Menke’s has grown a lot over the decades, and we’re committed to helping you grow, too.